My nephew’s gorgeous partner, Gosia, is Polish. Gosia Streets are a bit thin on the ground in Australia! Gosia assures us that the equivalent of Gosia in English is Margaret. Margaret St in North Sydney is a tiny little street near Kirribilli. At the foot of Margaret St is Anderson Park, where an extraordinary little micro-environment encourages a tine rainforerst-like environment to flourish. Anderson Park contributes an interesting little anecdote to Sydney and Australia’s history – it’s where thousands gathered in 1934 to watch Charles Kingsford Smith take off for a promotional flight over Sydney. Nic is our oldest nephew. Nicholas Ave is down near the water at Concord, not far yet a thousand miles away from busy Burwood and Strathfield. There’s lovely walks along the waterfront nearby. Not that you’d want to eat any of the fish caught here, but it’s constantly getting cleaner. Saturday was a beautiful late winter’s Sydney day. Perfect for a walk around the foreshore facing the city. A great local, trading since 1937, the Kirribilli Hotel, right next to Milsons Point station, has a good range of domestic and imported beers on tap, and plenty of screens for the sports nut. Beautifully situated above Woolwich Dock, the Woolwich Pier Hotel is right at the end of the peninsula at Woolwich, near Hunters Hill. With views to the Bridge and Harbour, it’s a favourite of locals and visitors alike. The Woolwich has a beautiful balcony as well as beer gardens that afford private areas for small groups to sit and enjoy a drink. What a beautiful spring morning for a walk from the bottom of Mowbray Road along the northern shore of the lane Cove River towards Fullers Bridge Road. This part of the Great North Walk takes you through the historic Fairyland Pleasure Grounds, made famous by the Swan family in the 1920s. It’s an easy walk in. The Council has done a good job of identifying what used to be there, quite extraordinary to imagine women with parasols and man in boater hat’s and blazers picnicking and going on Ferris wheel and merry-go-round. LOVE daylight saving And long weekend public holidays! 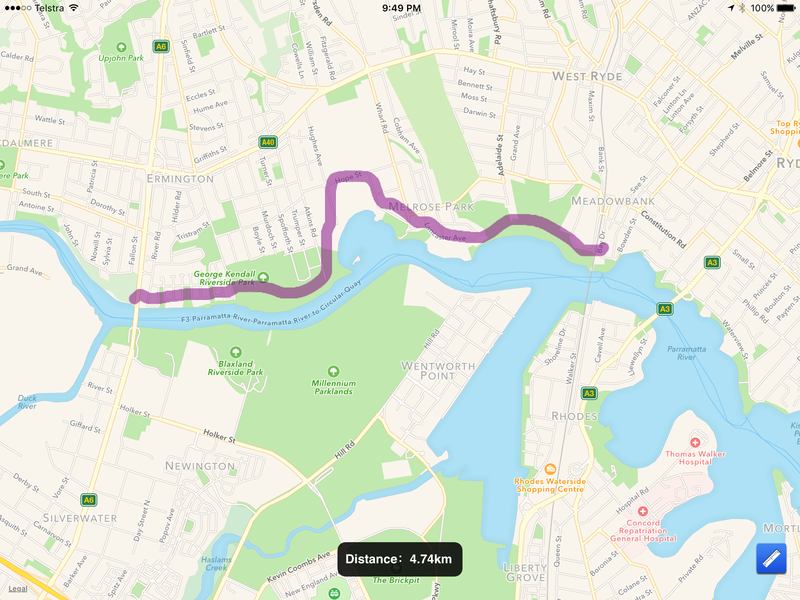 A fabulous wide, level bike path past ovals, water play playgrounds and more.